There has been an incredible amount of chatter as to how many times the Federal Reserve is going to raise rates in 2018, and the speed at which it will raise them by. 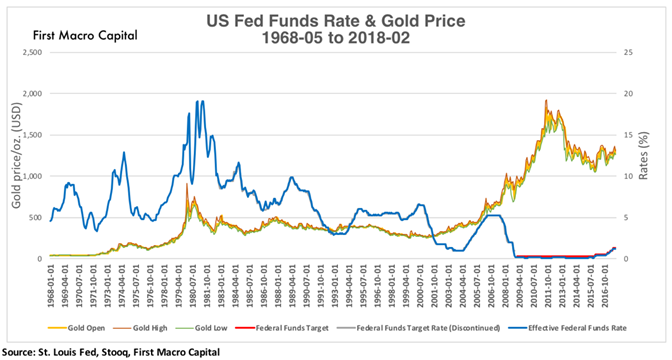 For gold investors, the old question lingers, “What will rising interest rates mean for the price of gold?” The simple viewpoint has been that rising rates are bad for gold because gold is not an interest-bearing asset. 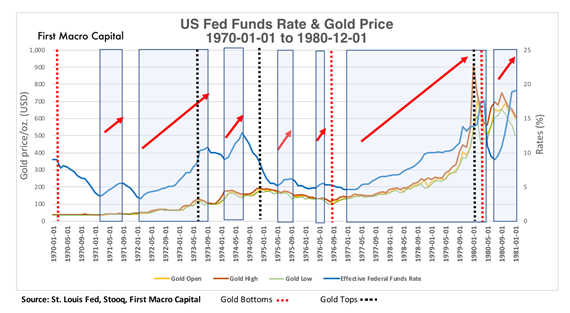 Why would you own gold if interest rates are rising and gold doesn’t pay you anything? There are typically two sides to the debate on the impact of gold from the change in interest rates. 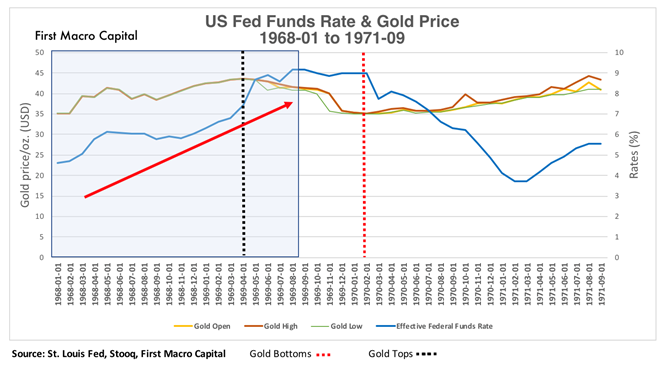 There are those who see rising interest rates as good for gold, and there are those that see rising interest rates as harmful to the price of gold. But who is right? Which side is correct? Could they both be wrong? Or both be right? 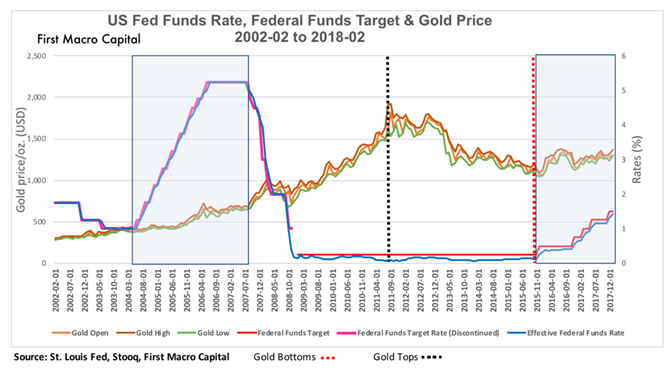 After the tech boom in the United States, the Federal Reserve dropped its target to 1% in June 2003, with the fed funds rate hitting a low of 0.98%. Gold bottomed in June 1999 at $251.95/oz., almost four years before interest rates bottomed. All commodities boomed as demand from the emerging markets grew rapidly led by China. The US dollar index went from being above 120 in 2001, falling to just above 70 in early2008. A 42% drop! 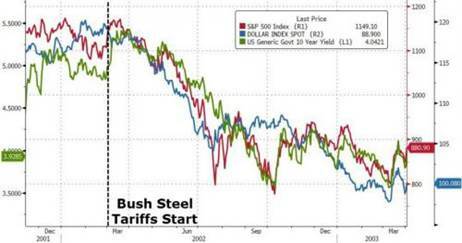 When you combine the increasing commodity demand from China and the fall in the US dollar. 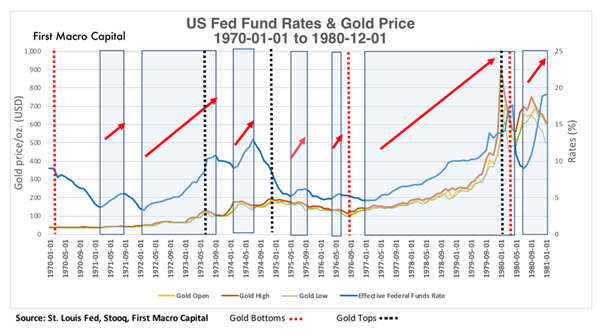 These set the gold price on a higher trajectory, just like the entire commodity complex during this time. Gold did not break its bullish trend, until seven months after the Fed started lowering rates. By this time the Fed’s target was already cut in half to 2.25%. But the gold trend broke away from the low rates, after making a brief bottom in October 2008 at $621.45/oz., continuing its upward trend. After the banks were bailed out, investors began to see the issues were not just on the private asset side, but on the public side too. 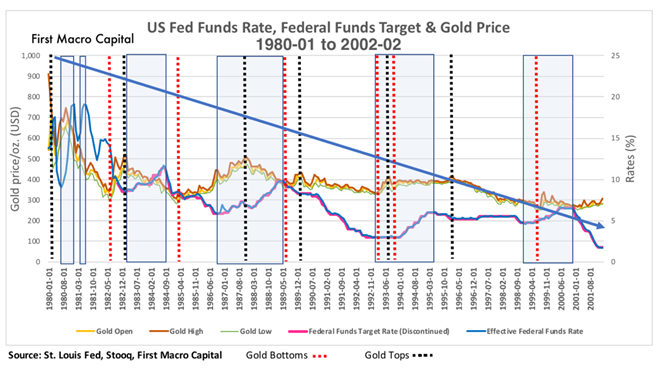 After 2008, gold and rates did not follow in lock-step with one another. We saw a major issue with a confidence in the U.S. Federal Government, and the European debt crisis. 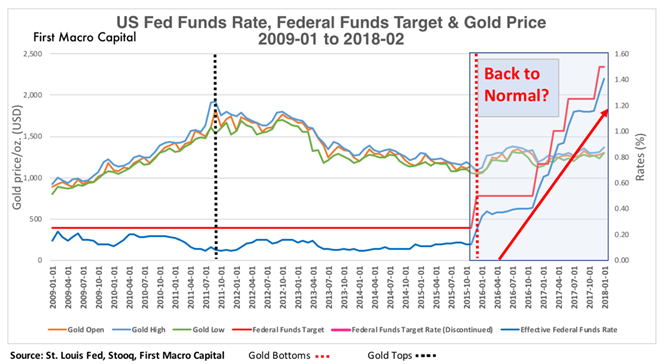 It was the confidence in the public sector, that drove assets out of public assets and into private assets, like gold and other commodities, not from rising rates. Companies growing the production profile on a year-over-year basis above industry peers, have an opportunity to create shareholder value.